Residential parking restrictions prohibit non-residents from parking after 6 p.m. in the district. 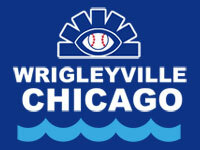 Cubs night baseball games have restricted parking. There are yellow sidewalk signs alerting drivers about the 20 or so times the Cubs play under lights. Visitors can can park with temporary passes affixed to their windshield, available at the Aldermen’s offices. Beware of tow zones, street-sweeping dates and snow plow lanes. Most commercial streets have metered parking; hours and rates vary throughout the area. The ParkChicago mobile and web application can also be used to pay for parking on your smartphone or on your desktop computer. Rates are $2.00 per hour in most areas of the city (outside of the Loop and Central Business District) and you must display a paid ticket from the pay boxes in your front windshield, unless you pay by phone. 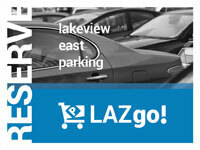 Most public parking facilities offer discounted monthly parking rates. Contact them individually for rates or more information. Some garages connected with malls or other major attractions offer discounted parking with a validated ticket. 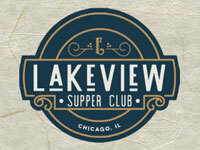 Several Lakeview East restaurants and entertainment venues offer reasonable valet parking typically ranging from $8-$12. With limited parking availability, valet parking is quickly becoming an easier, more convenient and economical way to park. Chicago vehicle stickers required for vehicles within the city limits for 30 days or longer. In the 44th and 46th wards, you must have a residential parking permit or a guest permit, available at the Aldermen’s offices. Enforcement times vary. Chicago’s Residential Parking Permit program is designed to restrict parking on designated residential streets during specified hours, except for the residents of that street, guests of the residents or those who provide a service to the residents. This program helps to ensure that residents of densely populated areas have reasonable access to parking near their residences. Signs posted along designated streets display the applicable restrictions. Cars parked in violation of this ordinance will be ticketed. Yearly Residential Parking Permits are available to qualified residents and daily guest passes may be purchased and distributed by qualified residents. Residents must secure a permit from the Office of the City Clerk and display it on the passenger side windshield of their automobiles. The fee for a Residential Parking Permit is currently $25.00 (annual pro-rated). 1-Day Residential Parking Permit Guest passes (which are valid for 24 hours from the time of posting), are available to area residents in packs of 15 for $8.00 per pack (limit 2 per month). Applicants for an annual Residential Permit Parking Sticker must have a current and valid Chicago City Sticker and an Illinois State License plate. Applications for yearly stickers must be accompanied by a copy of the receipt for the sticker, provide a copy of a photo ID, and have no outstanding parking tickets at the time of application. 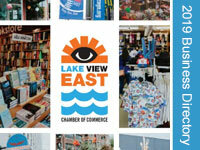 Most commercial Lakeview East streets have metered parking. The hours of operation and rates for parking meters vary throughout the area. This information should be listed on each individual parking meter. 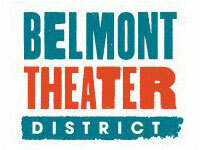 If it is not, or you would like additional information, please call (312) 577-7985. Metered parking is enforced on Sundays. 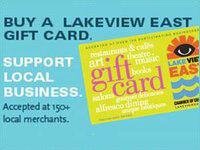 All major credit cards are accepted at the parking meters including the Lakeview East Gift Card. ParkChicago offers a convenient way to pay for your parking meter using the ParkChicago App on your smart phone, by web browser, or using non-smartphone cell phones. Drivers will input a zone number listed on the street sign and give their credit card information and license plate number. The app will save this information for future purchases. When you have 10 minutes left, it will send an alert to let you know to either pay more or your time is up. A 35 cent fee will be added for time purchased under two hours. For more information, visit the ParkChicago website and to watch a short video on how the program works.